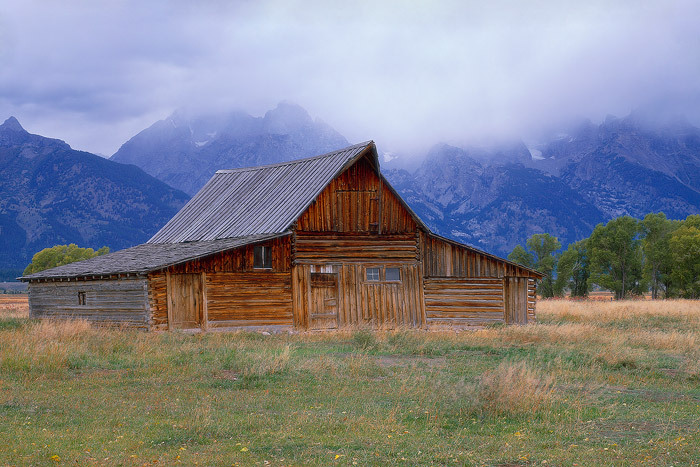 Stormy skies and the Teton Range provide a perfect backdrop to this picturesque barn in Mormom Row. Winner, Best of Show 2D, Best of Show Open 2D, 2007 Platte Valley Festival of the Arts. Field Notes: Ebony 45S camera, Schneider 110 XL lens, Fuji Velvia 50 film. Photo © copyright by Brett Deacon.